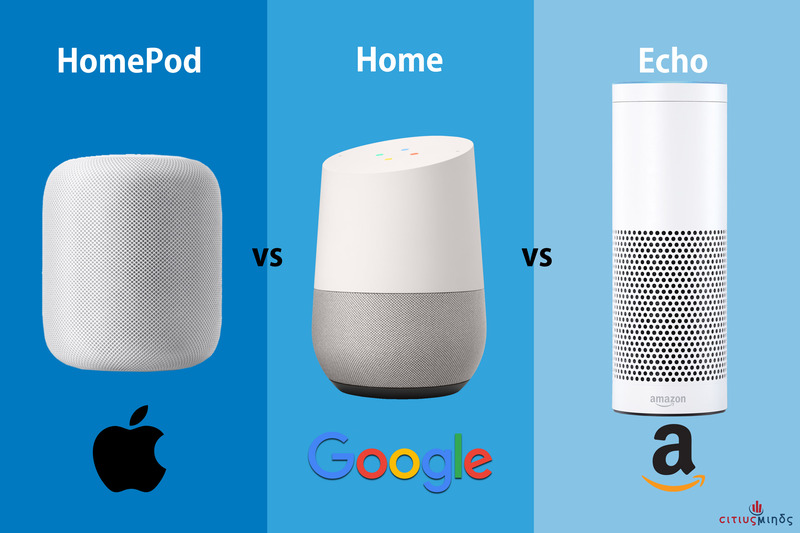 Apple, Amazon, Uber redesigning local care; what will healthcare look like with smart speakers? Healthcare costs are out of control at 18 percent of GDP, and growing. This is up from 5 percent back in 1960. Today, companies can expect to pay $10,000 on average in health insurance for each employee every year, up five percent each year for the last five years, according to National Business Group on Health, based in Washington DC. With those rising costs, it's no wonder more and more companies are pushing off those costs to employees. Today, the percent of companies paying 100 percent of health coverage has dropped to 9 percent from 34 percent in 2001. It's also no wonder companies from Apple to Amazon are taking matters into their own hands. Apple recently launched AC Wellness, its own clinic to care for its employees. 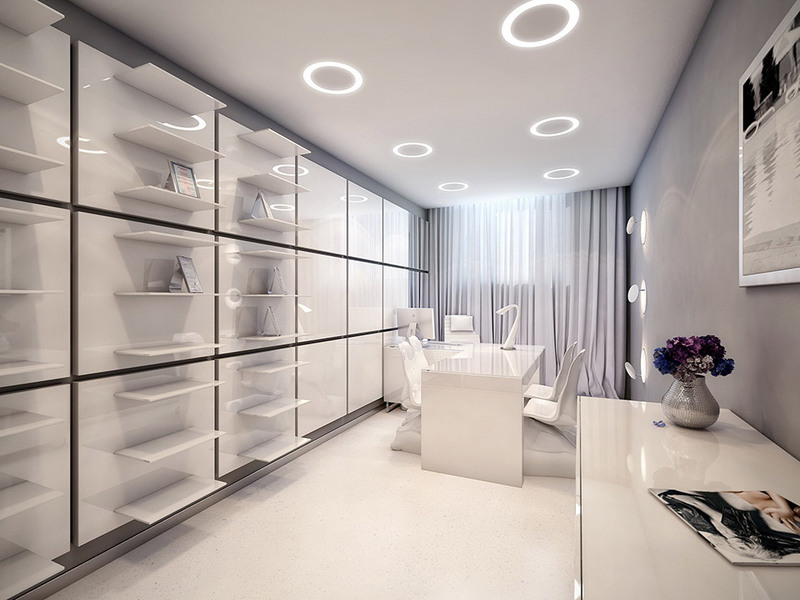 Imagine white walls, white floor with a very clean and elegant look and Siri to greet you. The center, which will offer a "unique concierge-like healthcare experience" will be based at the Apple Wellness Centers in Santa Clara Valley. Besides primary care physicians and phlebotomists, the clinic is hiring health coaches and behavioral health partners - clearly an indication that "wellness" is a big part of the offerings to be found at clinics these days. Amazon announced its own initiative with partners JP Morgan Chase and Berkshire Hathaway last month, and that should also include on-site clinics for their employees. We're feeling pretty astute having decided to create an event specifically around the "Future of Clinics," which will take place right smack in the middle of all this activity! We hope these weekly roundups are useful to you as we get ready for our salon-styled gathering next Thursday, March 15. At the event, you'll hear from my co-hosts Archana Dubey (Global Medical Director, HP Health Centers, HP) and Frances A. Ayalasomayajula (Population Health Technologies and Innovations Lead, Worldwide Healthcare, HP ). HP is one of the largest self-insured employers. You'll hear from VCs: Dave Schulte (Managing Director, McKesson Ventures ), Michael Yang (Managing Director, Comcast Ventures), Ursheet Parikh (Partner, Mayfield Fund), Scott Barclay (Partner, DCVC), Alexander A. Morgan (Investor, Khosla Ventures), Casper de Clercq (Partner, Norwest Venture Partners), Mark Goldstein (Managing Partner, Advisors.fund). And you'll hear from healthcare incumbents with clinics, as well as tech pioneers innovating on either new clinics or products and services to change the way we receive care. Check out the event here. A special thanks to our main sponsor HP! And to Avison Young, Scrubbed, Stratpoint and Advsr. In the meantime, enjoy our roundup! This piece reviews the latest developments among the big tech companies. For Amazon, the piece reiterates what many are saying, which is that Amazon will use its new partnership to strengthen its position to become an online pharmacy. But it also underscores Amazon's potential to be on the front lines of delivering any health service or product. For Apple's part, we all expect Apple to add its design touch to its clinic. If anyone is to create a brick-and-mortar clinic, it should be Apple. And as I said above, Apple is appears to have a strong focus on wellness. As for Verily, which is part of Alphabet, it appears to be focused on becoming an insurance provider by getting into Medicaid managed services, while Uber wants to replace ambulances. What is an interesting read in this article is whether or not these tech titans can reinvent a very complex and highly-regulated industry. For instance, for Amazon to be an online pharmacist, it will now have to deal with the FDA (regulating drugs), pharmacy benefits managers (brokering deals between drugmakers and insurers), health insurers (who hate rising drug prices) and drug makers (who like rising drug prices). If you look at the breakdown of Uber's demographics, the company is pretty evenly split when it comes to gender, as well as its urban versus suburban users, according to a survey done by GlobalWebIndex of over 1,300 Uber users in 2017. Where there is a big disparity, though, is in the age groups that are using it. That same survey found that the company heavily skews young, with more than half of its users under the age of 34. Those in the 55 to 64 range make up a paltry 6 percent of its total user base in the U.S. It makes sense when you realize that older people are less likely to own a smartphone, or any kind of mobile device, for that matter, which they would need to be able to use Uber. Though the number that use smartphones is climbing, they still remain an untapped customer base for the company. Now Uber has figured out a pretty clever way of getting those people into Uber cars without even needing them to own a phone: have their doctor's office do it for them. After all, that is the demographic that is most likely to use take advantage of the healthcare system. 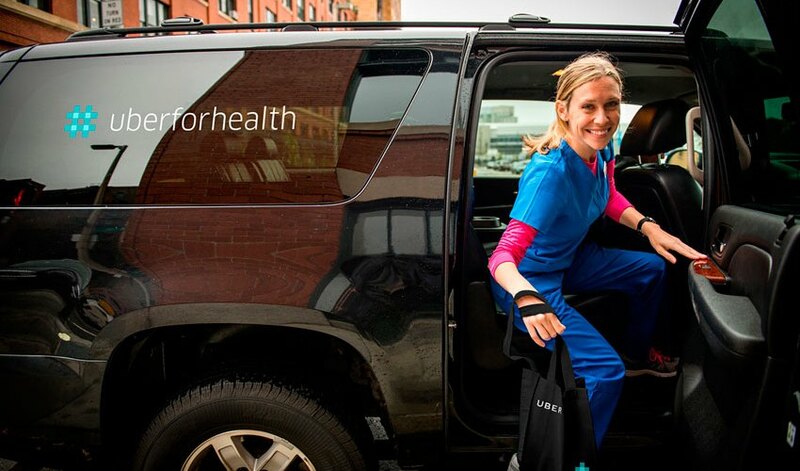 Uber recently launched Uber Health, which shuttles patients to and from the doctor's office. The patient doesn't need to do anything to book the appointment or confirm the ride, as everything is done for them. What will healthcare look like with smart speakers? 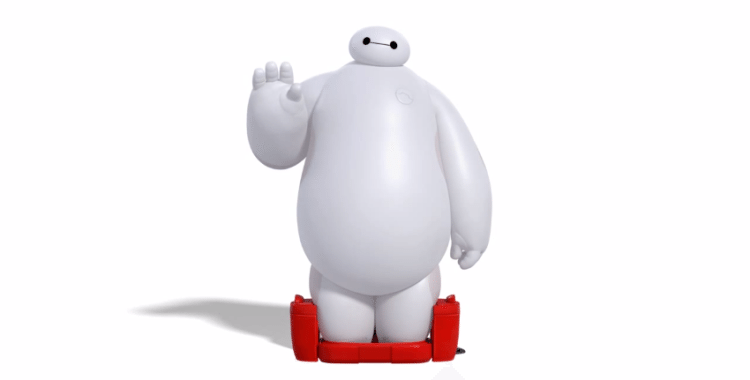 In Big Hero Six, we see a glimpse into the future with a robot nurse Baymax, whose sole purpose is to take care of people. You can call him a caregiver or companion or friend - or all of the above. In the end, he's doing what most AI folks are working on today: crunching massive volumes of data to understand the human condition. When will this happen? Probably in 10 years. Already we're asking questions to Dr. Alexa and Dr. Siri. 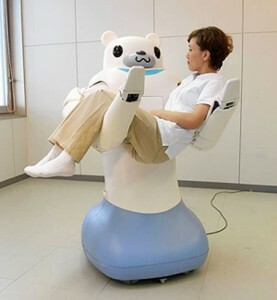 And already 20 percent, or one in five, of consumers say they've used healthcare services powered by AI, whether they're robots, virtual clinicians, home-based diagnostic tools, according to a 3000-person survey by Accenture.